I fear I am having my own tulip mania thanks to my trip to Keukenhof last week. It was my first visit and I was completely blown away by the beauty of the bulbs. The weather was warm which let’s face it, always helps. Against a blue sky, the bulbs were beneath trees in full blossom which created a perfect haze of pink or in this case white. The warm air carried the heady scent of hyacinths which were planted in thousands. I think I was expecting regimented rows of bulbs in blocks or bands of colour. This was the case in some places but elsewhere the bulbs were planted in glorious colour combinations mixed with muscari or hyacinth or anemones. Keukenhof plants about 7 million bulbs every year, admired by some 1.5million visitors, over the eight weeks that it is open. Mind blowing figures. Certainly it is a busy place to visit but its 32 hectare site copes well. The bulbs are planted in nets as the soil is heavy clay and these are all lifted at the end of the show. The lifted bulbs are sorted, the larger ones are kept for another year, the rest are disposed of. Mature trees cast shade once in leaf and the grass is reseeded each year for the show. The work that goes into this show is remarkable. So this brings me to my vase. Tulips, a handful of tulips. They are pretty good in my garden this year. I picked a selection to take to a friend. Joining Cathy with in a Vase on Monday. Should you like to join in add a link back to cathy’s blog and join in this popular Monday meme. I have not managed to take part in the photo challenge for a few weeks. Hosted by Sandra at https://daffodilwild.wordpress.com. The subjects have been tricky when looked at from a garden perspective or I have been busy, so it is a relief to see this weeks challenge is “Autumn”, much simpler. The picture above demonstrates the beauty of grasses in the garden in low Autumn light. 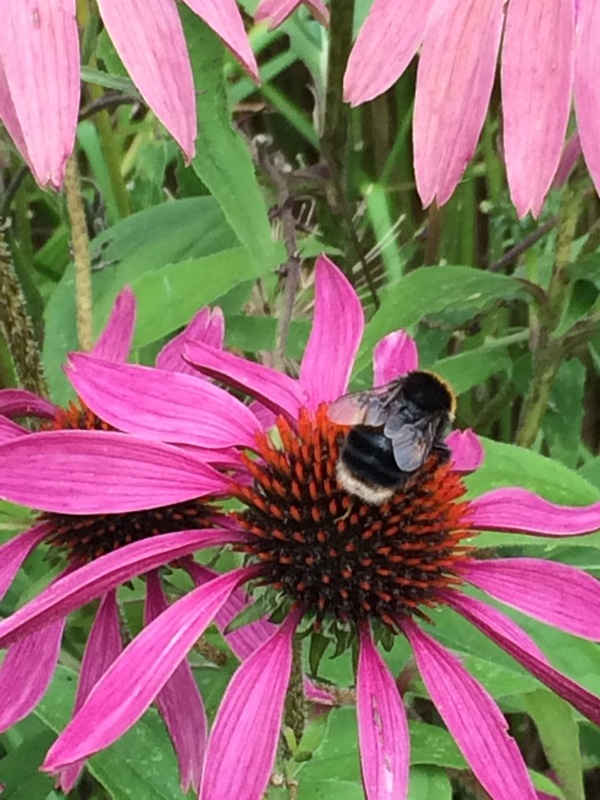 Taken last Autumn at Great Dixter. It was a beautiful weather day, cool and bright with a little warmth left in the sunlight. The light was dropping quickly and I managed to capture it as it began its descent. 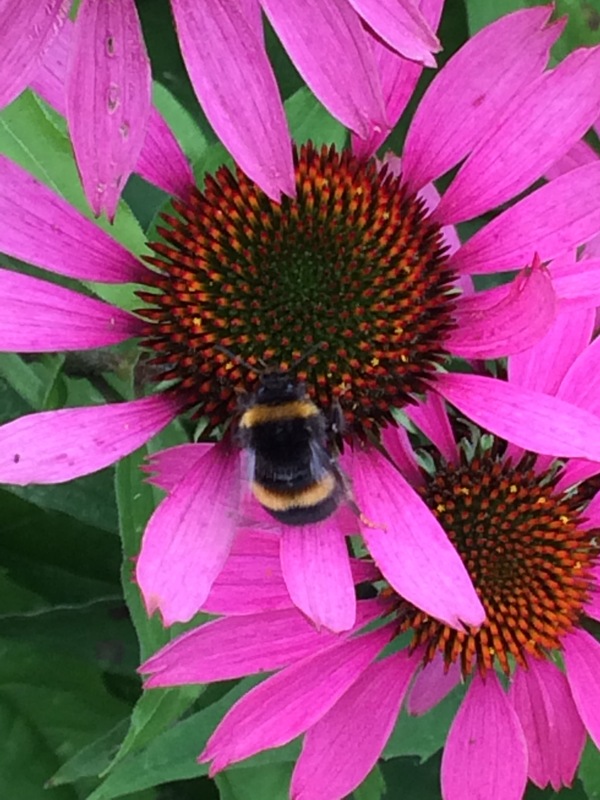 I imagine there will be some lovely Autumn shots to look at on Sandra’s blog, take a look. This Summer we took a short trip to Cornwall, well I use the term ‘short trip’ loosely as I do not feel six hours in the car can ever be described as short. 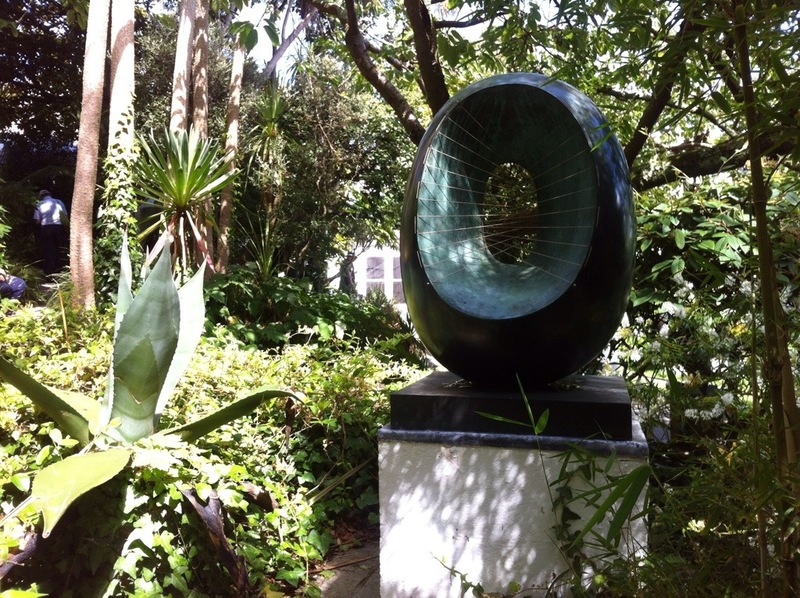 Having travelled so far west I had to make the extra hour to get to St Ives to visit the Barbara Hepworth museum and Sculpture Garden. 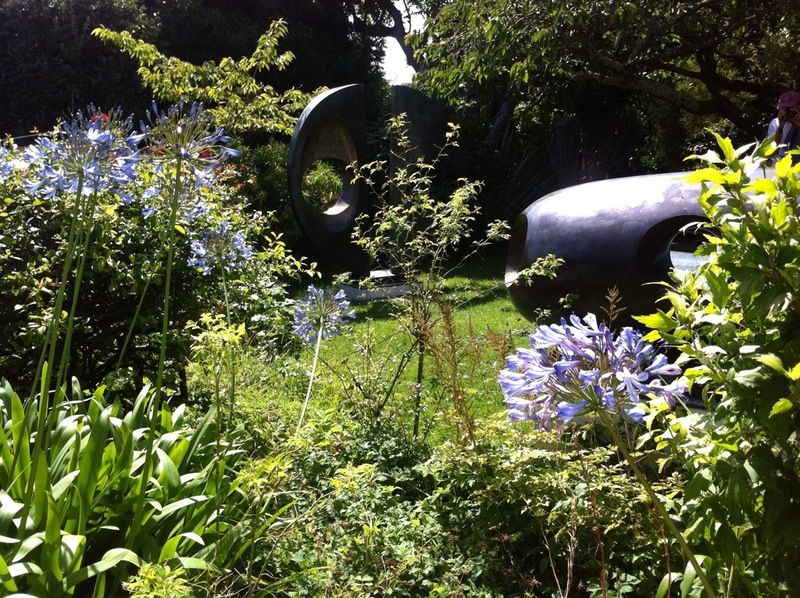 The day we visited was one of those warm English Summer days, rare and therefore all the more memorable. Everything, even the grottiest of tourist traps can look fabulous in the sunshine. St Ives, which is not in anyway shabby, was heaving with day trippers and holiday makers, even Dorris the younger declared that the streets were as busy as Oxford street. Certainly the crowds were rather off putting. 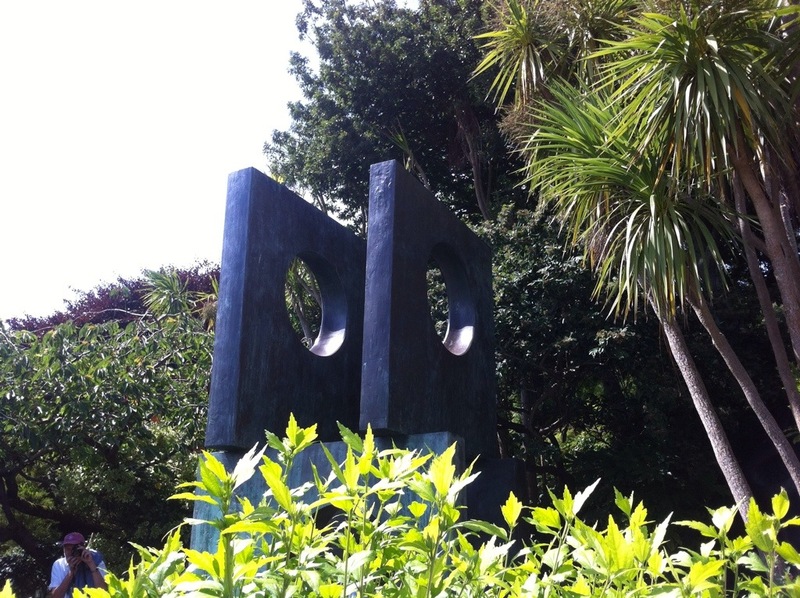 By contrast entrance to the Barbara Hepworth museum and sculpture garden was a haven from the busy streets. The mature beautifully formed garden is 0.2 acres on a sloping site with a sub tropical feel thanks to planting of bamboo, cordyline, phormium and chusan palms. There were other visitors yet it was not crowded. 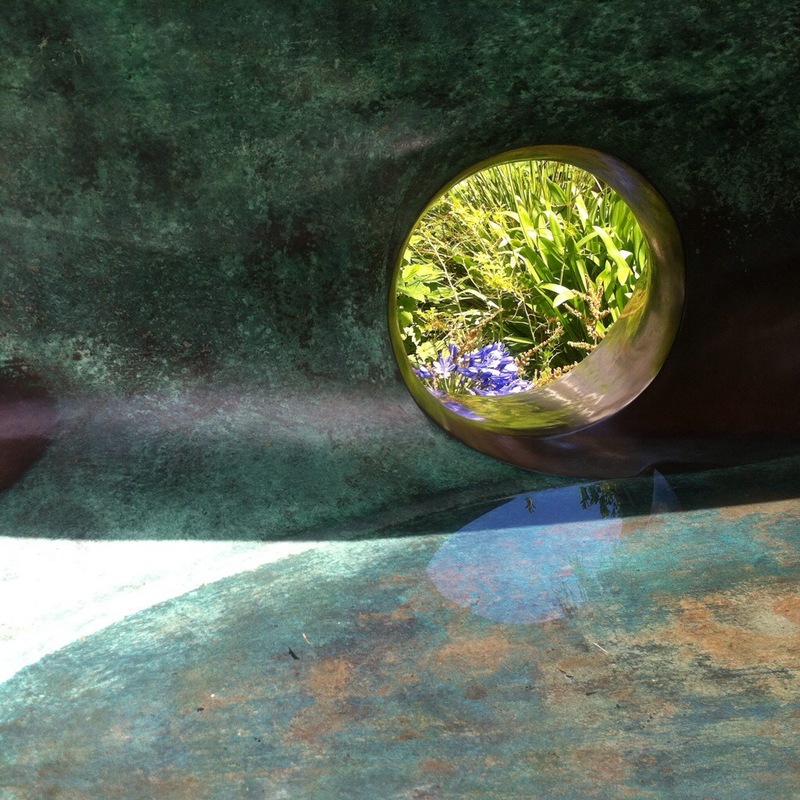 The exhibits were stunning in the stupendous light that St Ives offers; little wonder that it was such a place of inspiration for so many artists. 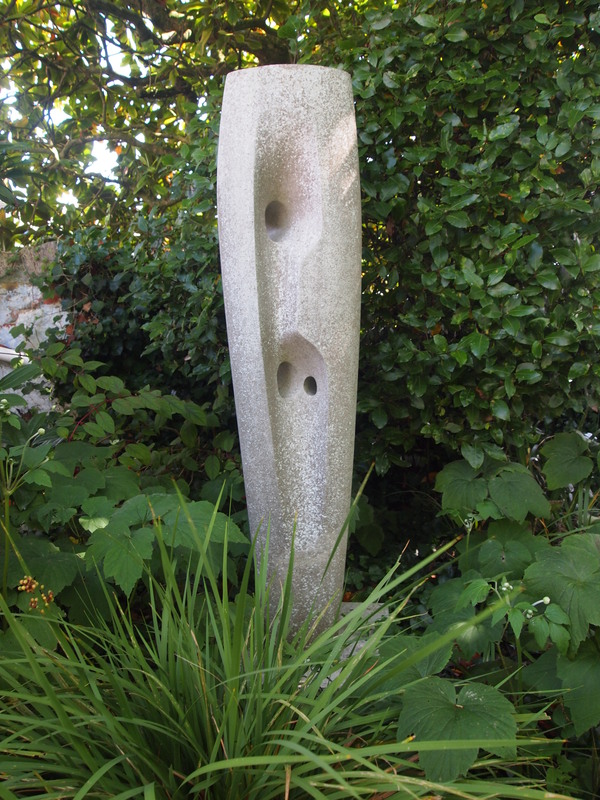 As background Barbara Hepworth was a British abstract artist working on large scale bronze and stone pieces. Married to the artist Ben Nicholson they moved their young family to Cornwall at the outbreak of World War II. The museum is the studio and garden where she lived and worked from 1949 until her death in 1975 when a fire gutted her studio. The museum opened in 1976 in accordance with her wishes and is now run by Tate. 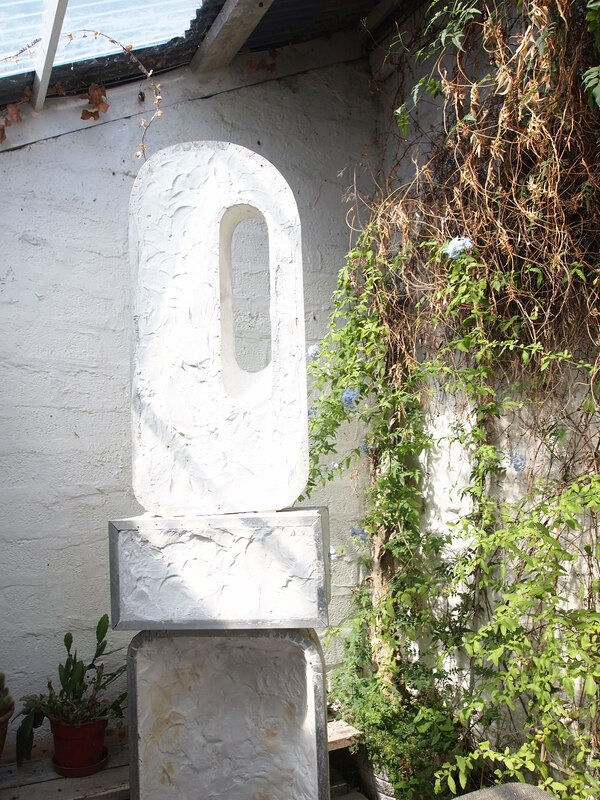 I do not propose to attempt to write about Hepworth or her art in any factual or educated way as there are plenty of articles available. Instead I shall share the photographs I took which capture the forms which struck me as especially beautiful. 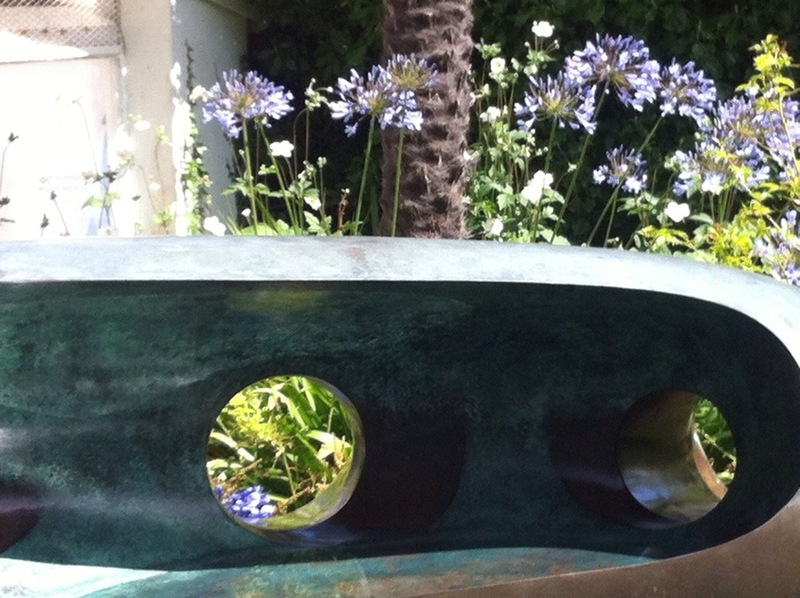 Agapanthus, sunshine and smooth verdigris bronze. 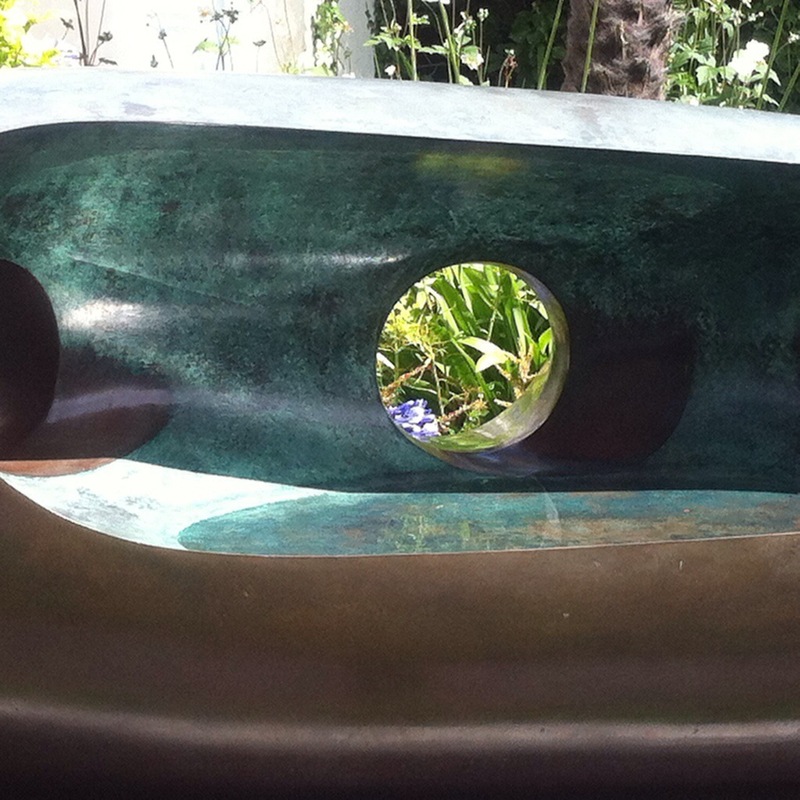 I especially like the way the rainwater collects in the basin of the piece creating beautiful reflections of the light. One of the museum attendants told me that it is not unusual to see small birds taking a wash in the water. Some birdbath. 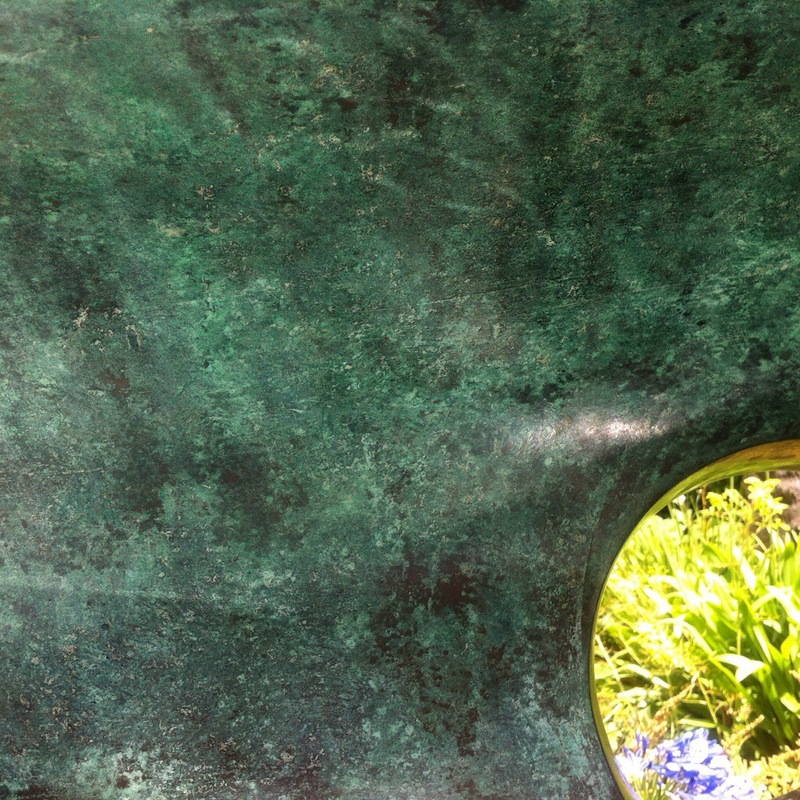 The port holes are crisp windows framing detail of the scene beyond. 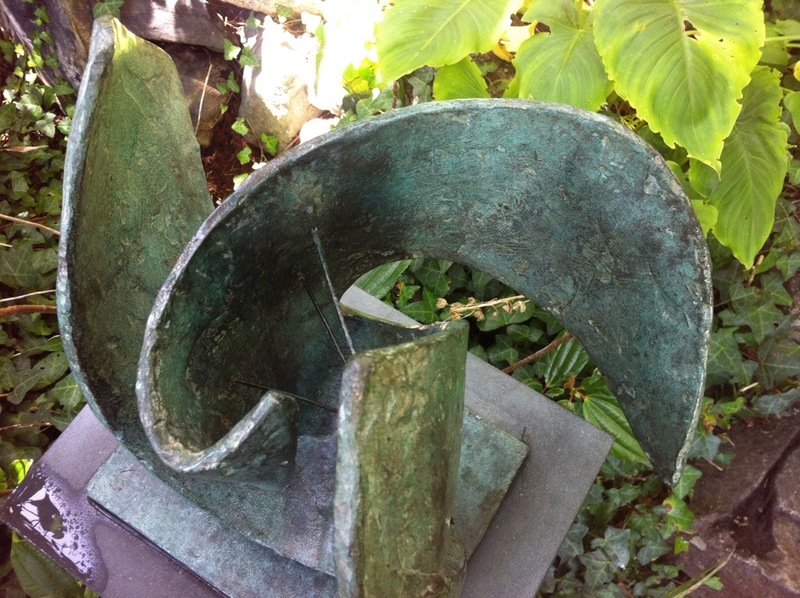 By contrast this earlier piece seems to reflect the shape and form of leaves. The statuesque scale of the piece below is so, well handsome, of the tall dark variety. The precise dark rectangular shape contrasts and somehow displays the lime of the plant in the foreground whilst its form sets off the structure of the Yucca by drawing the eye upwards. Sunlight on marble work in the studio, complete with Hepworths collection of cacti and succulents. Looking back at my August visit, the light looks even better than I remember. 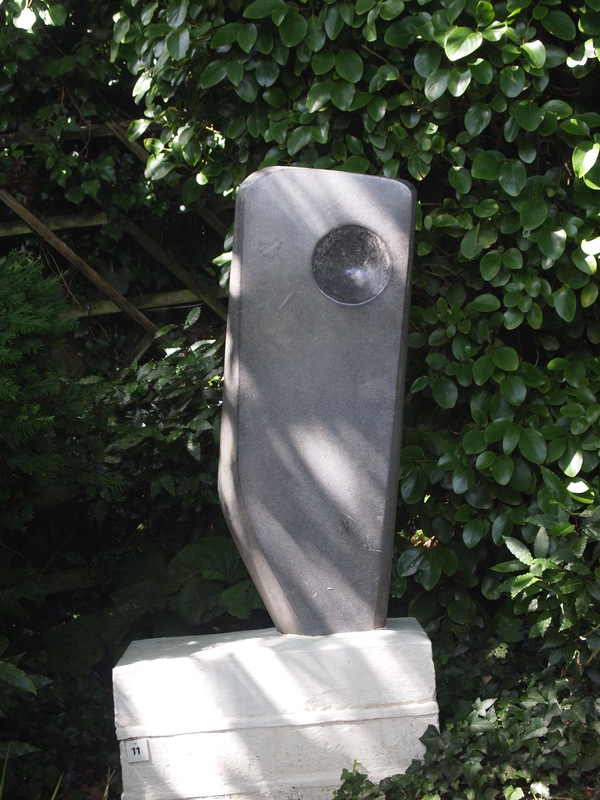 The abstract, motionless forms are tactile, statuesque, handsome; they add a depth to the garden and demonstrate the skill of the artist. 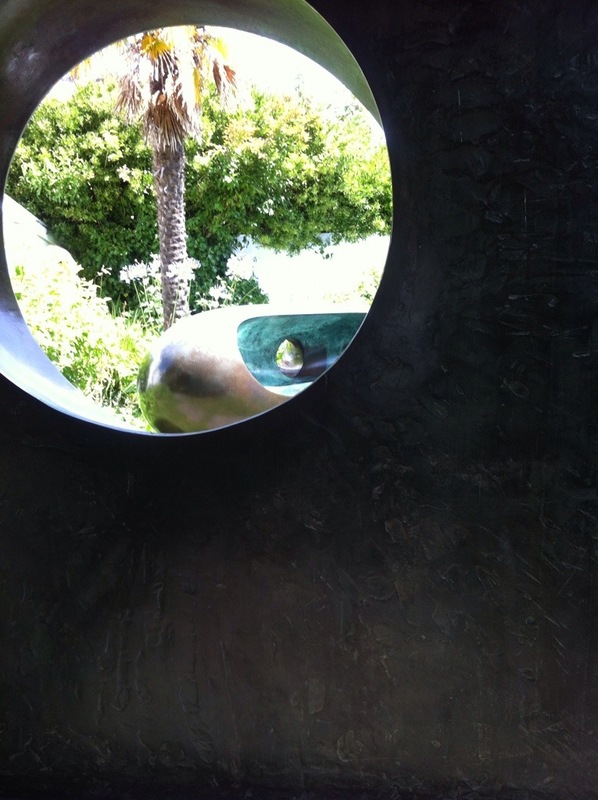 I have no idea how a woman of such a slight frame could begin to form these huge sculptures from marble or bronze. Wonderful. If you are planning a trip to Cornwall may I suggest that you include a visit to St Ives to see for yourself.